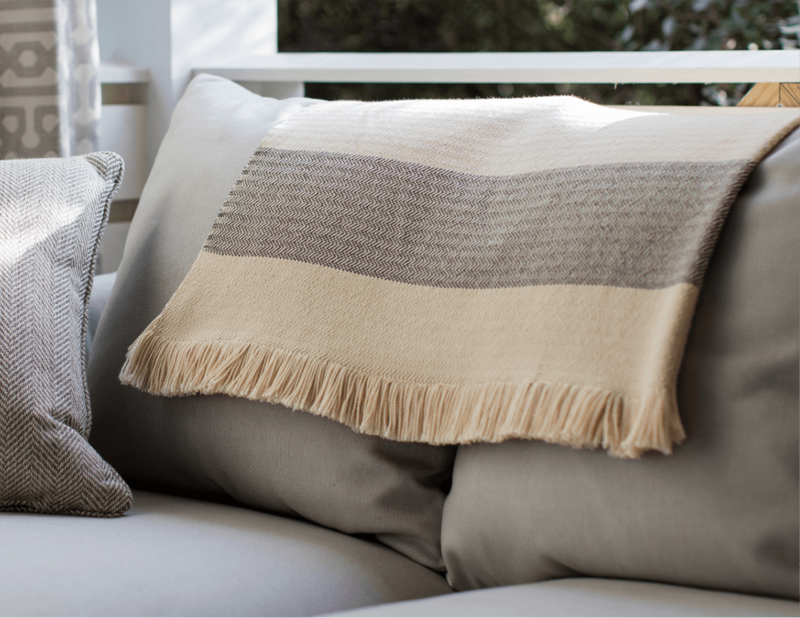 Delivering exceptional craftsmanship and comfort into every handwoven throw, Textillery Weaver’s line of Sunbrella throw blankets celebrate quality, durability and luxurious softness. John and Judith Rose turned their passion for creating customized throws into what is known today as Textillery Weavers. Starting with a single loom John originally bought Judith for her birthday, Textillery Weavers has continually developed a reputation for creating luxurious, sustainable throws. Recently awarded the Best New Product Introduction at the Boutique Design West show, Textillery is now widely regarded as the leading manufacturer of handcrafted throw blankets in the United States. 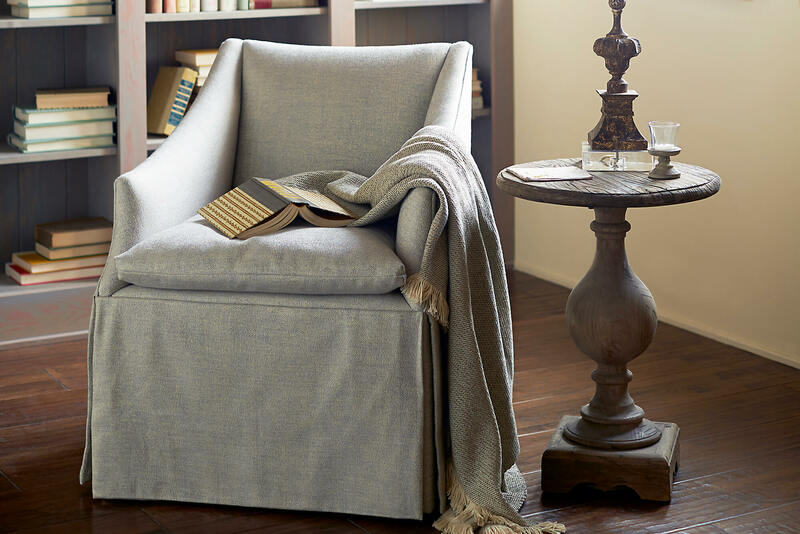 Fusing this innovative craftsmanship with the softness of Sunbrella yarns, Textillery can customize throws to match the desired aesthetic of any space. And with an extensive palette of color options using recyclable Sunbrella yarn, these throws are not only incredibly soft, but also sustainable. Plus, they deliver the same legendary performance you trust from Sunbrella, making them fade resistant and easy to clean, even with bleach. 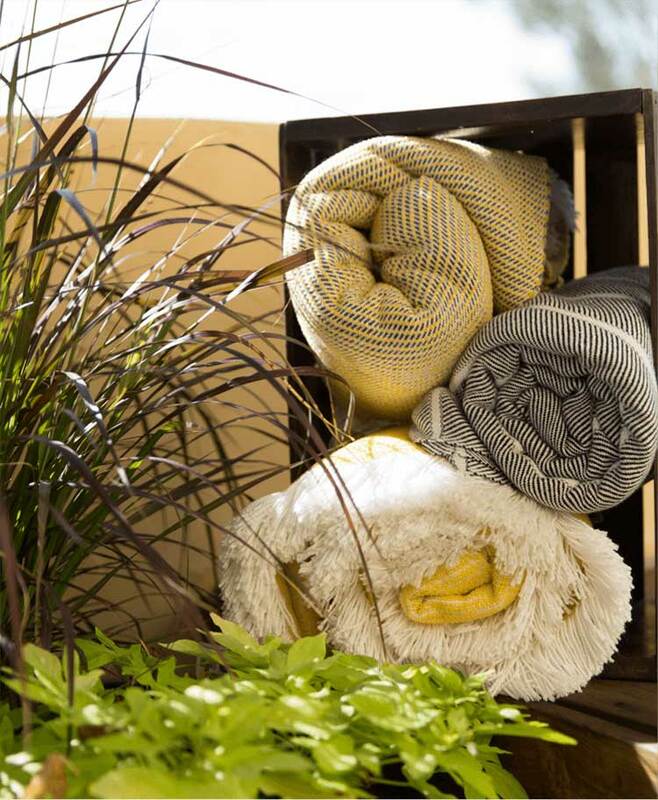 This seamless blend of artistry and durability, makes these luxuriously soft Sunbrella throws the perfect addition for any commercial or residential space, indoors or out. For custom throw options, visit Textillery for more information.